Thank you to all our amazing volunteers, sponsors and tour goers for a fantastic 2019 Tour weekend! Your DHCA annual membership contributes directly to neighborhood enhancements, including safety and preservation efforts, as well as community events. Please renew today via the email reminders or click here to join. The Druid Hills Civic Association Board meeting takes places the third Wednesday of each month at St. John's Lutheran Church (corner of Ponce & Oakdale). There will be no Board meeting in April . The next meeting is May 15.. All Druid Hills residents and welcome and encouraged to attend. Deter crime on your street by volunteering to be a street captain in the Neighborhood Watch program. For more information, click here, or contact Ellen Meshnick at neighborhoodwatch@druidhills.org. 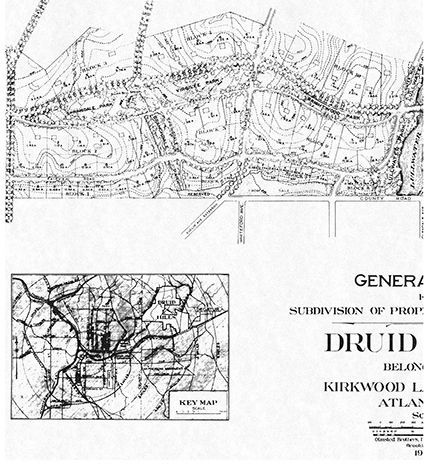 The Druid Hills Civic Association was founded in 1938 to preserve the Druid Hills neighborhood for residential use and to protect the unique heritage of the area. Much of our work involves exercising vigilance in land use and zoning matters, communicating with local and state officials, informing the residents about community issues, and promoting the general welfare of the neighborhood for the enjoyment of its residents today and in the future. Listed on the National Register of Historic Places, the Druid Hills Historic District incorporates in its entirety the area formerly listed as the Druid Hills Parks and Parkways Historic District. 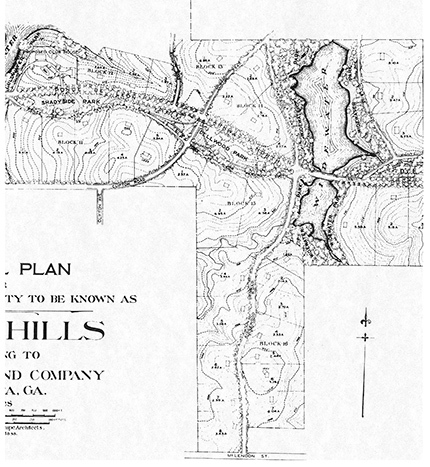 One of most active neighborhood groups in the South, DHCA was founded in 1938 to help residents preserve and protect the unique heritage of Druid Hills as envisioned by its creator, landscape architect Frederick Law Olmsted. The Druid Hills eNews is published monthly and covers upcoming events and happenings in our neighborhood. Occasionally, we send out eAlerts with breaking news and meeting reminders.